Everyone loves promotional products! Marketers love them because they provide a long lasting and cost effective means of communicating. Recipients love them because they are useful, often necessary items which they are often given for free! Promotional products get your message seen at different times and in different places to other forms of advertising. 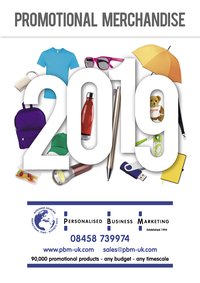 A branded calendar will be viewed daily in an office, and a promotional mouse mat occupies prime advertising space on the recipient’s desk all day, every day!